Recently I’ve been re-watching the opulent, but not-so-historically-accurate, TV series The Tudors starring Jonathan Rhys Myers, Henry Cavill, and Natalie Dormer. Though the facts maybe be blurry, the fashions and sets are delightful, and I’ve put together a collection of 16th Century inspired goods! 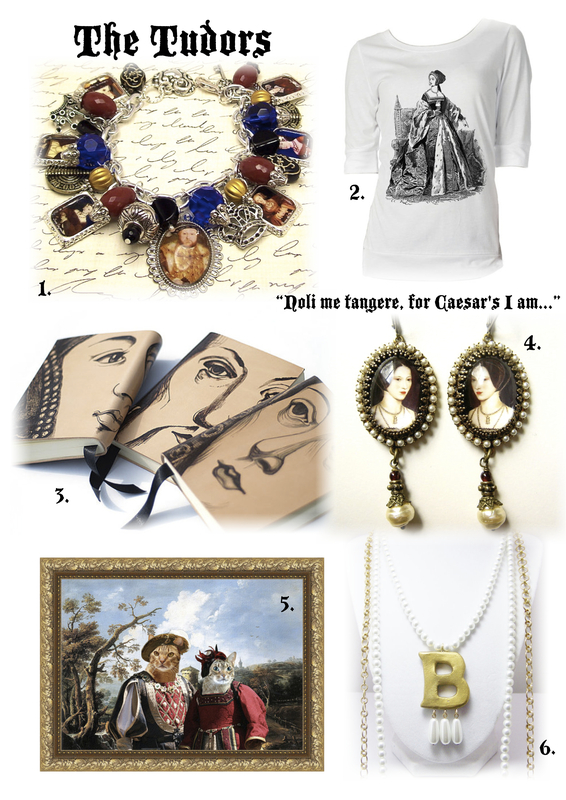 I also have the six wives of Henry VIII as cabochon necklaces, available for £6 in my shop!